“Fresh Cream Specialty Shop Milk” will open in Harajuku and Shinjuku. 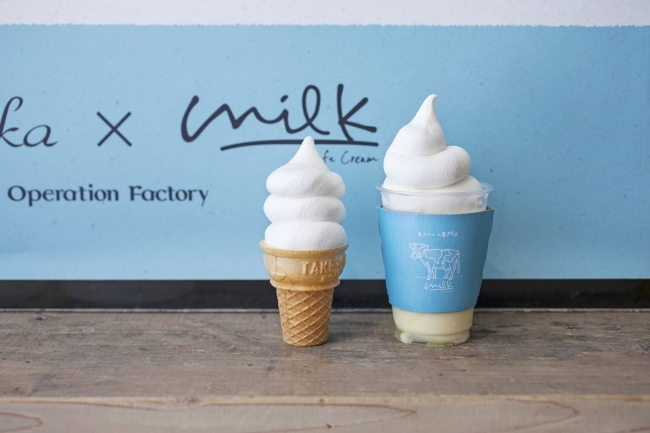 Japan’s first “Fresh Cream Specialty Shop Milk” has been opening in Shibuya from last month. 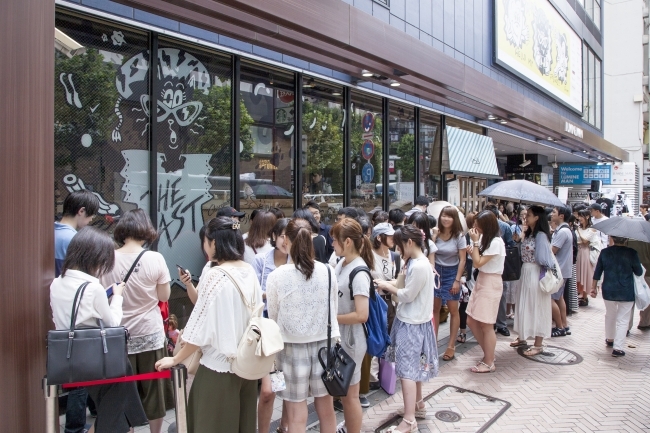 Shibuya shop has recorded thirty thousand customers within just a month since its opening. Because of the popularity of Shibuya shop, they’ve decided to open new shops in Harajuku and Shinjuku. The popup store at Harajuku JUSTIN will open on August 3rd. The takeout specialty shop will open in Shinjuku LUMINE EST on August 20th. Fresh cream is loved by everyone but it usually plays the supportive roll in such food items as pancakes. In order to make fresh cream play the leading roll in this confectionary, we payed particular attention to the region where the cream was produced, the blending method and the production method. In this way, we have tried to bring out the best qualities of fresh cream. 「Milky cream chiffon cake」（￥780）, 「Milky soft cream」（￥540）, and 「Milky soft parfait」（￥780）and other sweets are being offered to bring out the best qualities of fresh cream. This time, a cheesecake will be debut as a new menu. The new shop in Ikebukuro will open in this fall. You should try these wonderful fresh cream sweets! Related Article：Summer in Japan Means Watermelons—Here’s 5 Refreshing & Cute Japanese Watermelon Desserts!